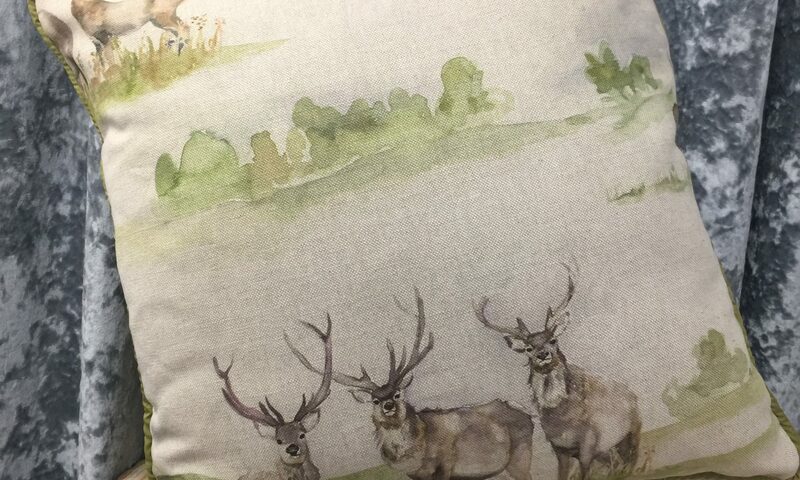 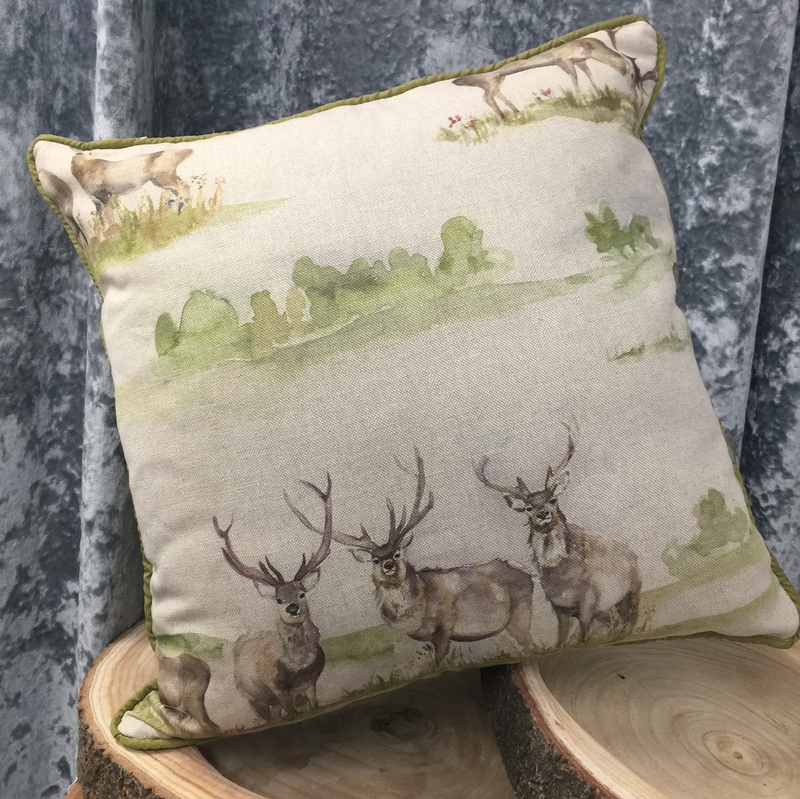 Soft and extra filled quality stag cushion. 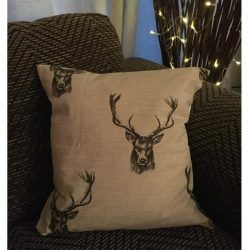 Please note, you may will not receive the exact cushion pictured due to the cut of fabric. 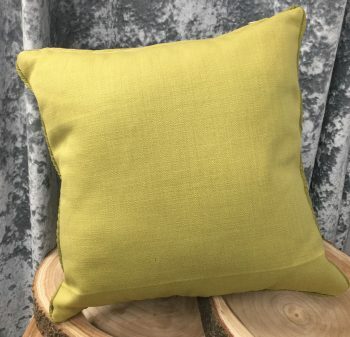 Zipped at the top, with a green colour contrasting piping and back.